Waseda Shibuya Senior High School in Singapore provides a Japanese education overseas by following the national framework as well as the guidelines of the Japanese Ministry of Education. We emphasize the importance of the lessons our students can learn only by living abroad. In addition, we also stress the importance of our students’ need to recognize and respect their own individuality. Students are taught in small groups for each subject based on their level of proficiency. In addition to the required subjects, second and third year students are offered elective classes. 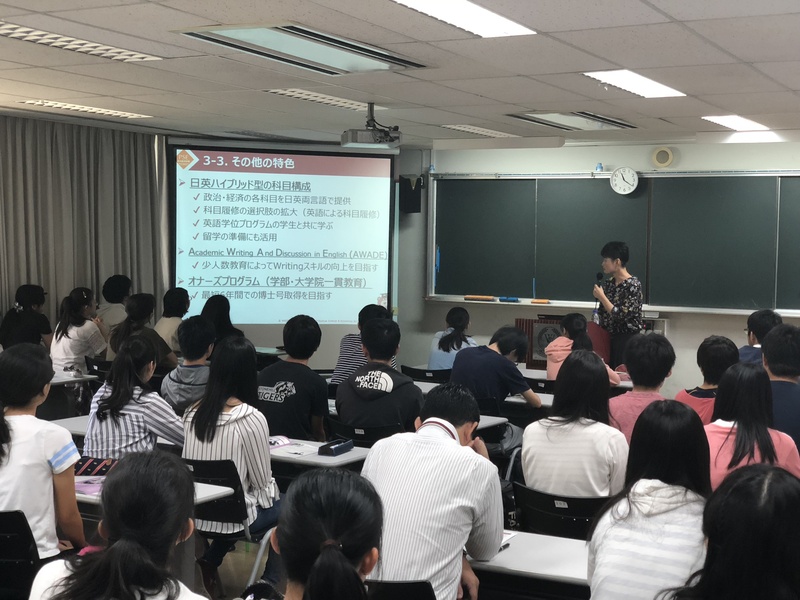 In order to enhance our students’ English speaking skills, we have integrated Waseda University’s “Tutorial English” program in the form of our EnglishCommunication classes. University entrance examinations preparation courses are offered during summer and winter vacations. 3rd and 4th periods on Saturdays are allocated for the students to research and report on their personal interests in addition to various intercultural activities. The syllabus is distributed to the student body at the beginning of the academic year. There are five regular exam periods scheduled throughout the year, as well as three proficiency tests and other mock exams.